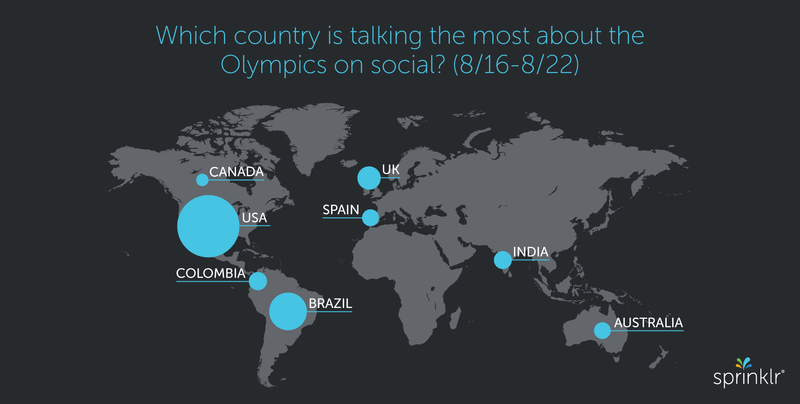 After nearly three weeks of nonstop Olympics, the results are in for brands receiving the most mentions across social media platforms. 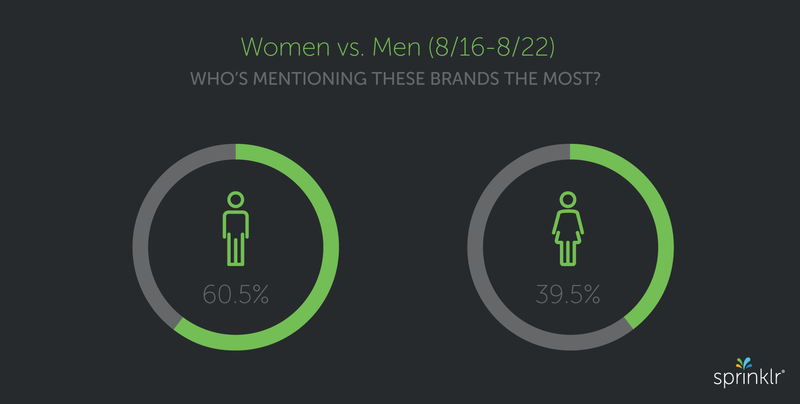 Sprinklr has been analyzing brand mentions across Facebook, Twitter, Instagram, YouTube and others exclusively for Adweek. 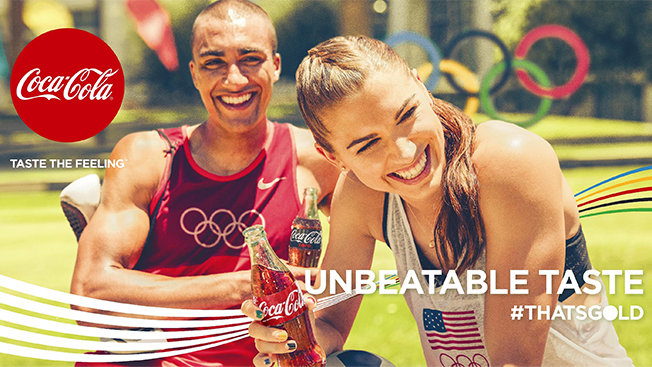 In the end, Coca-Cola took home the gold, earning 34,400 mentions during the Rio Games. 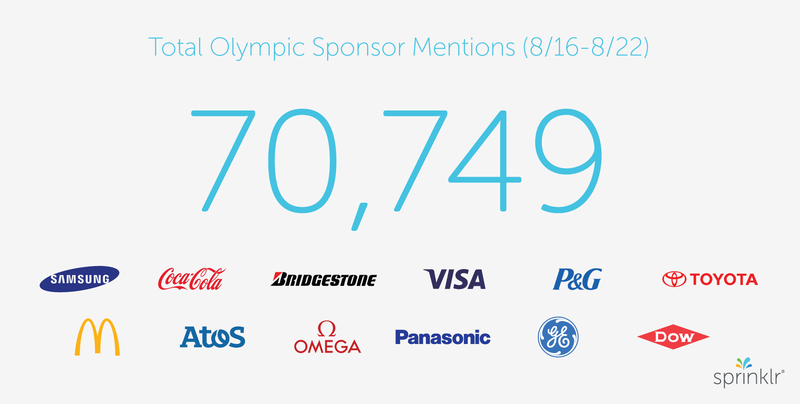 Samsung came in second with 29,800 mentions. Visa was third with 28,500. 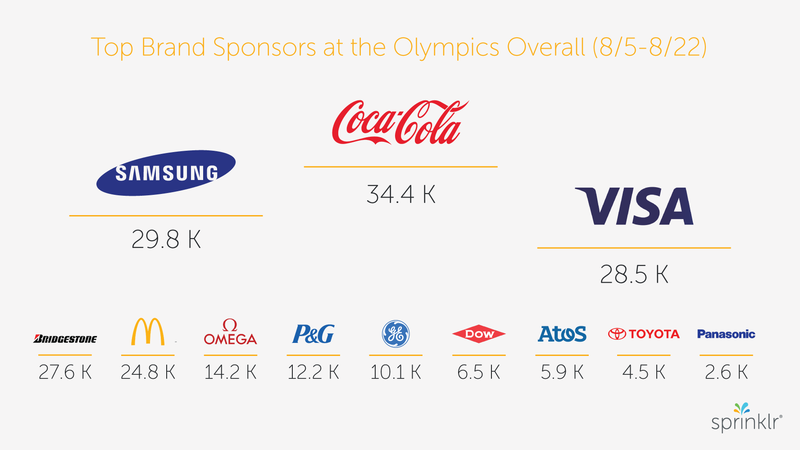 The total number of mentions for the top dozen Olympic sponsors was just under 217,000, with nearly 71,000 coming during the final week. 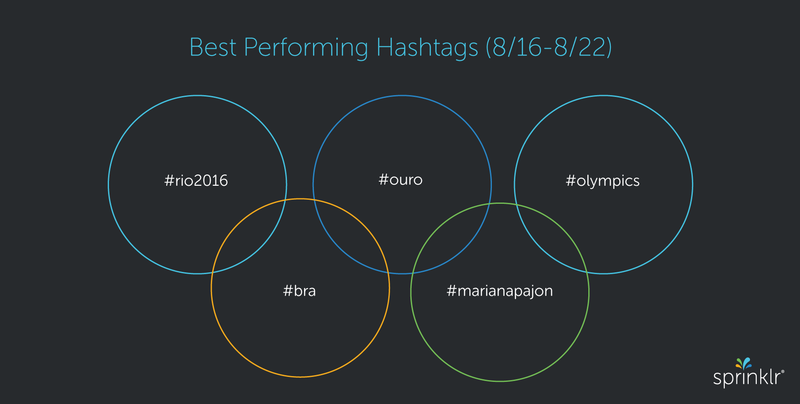 That's around 9,000 fewer total mentions than the week before, however, and nearly on par with the first few days of the games. 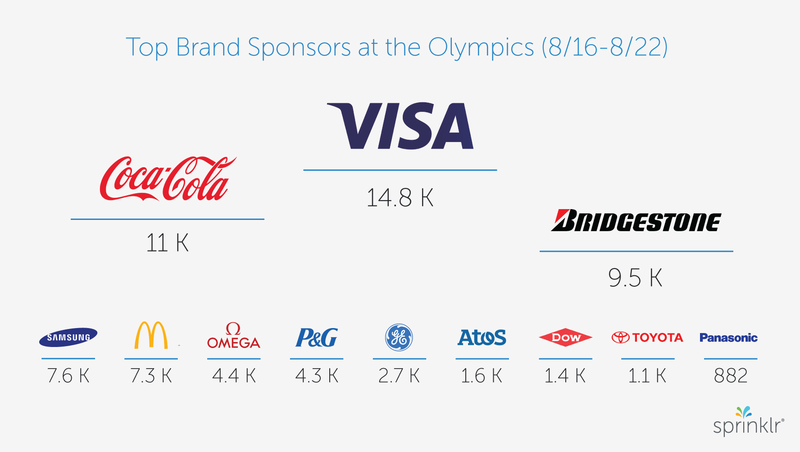 However, during the final week of the Olympics, Visa was the most talked-about brand, receiving 14,800 mentions between Aug. 16 and Aug. 22. 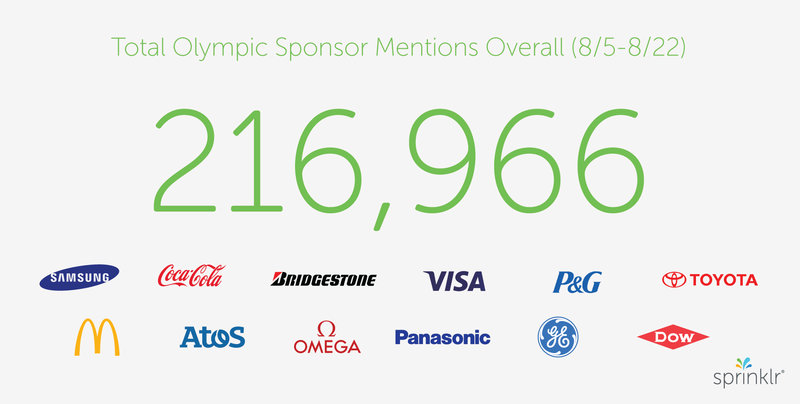 In second place was Coca-Cola with 11,000 mentions, followed by Bridgestone with 9,500 mentions. 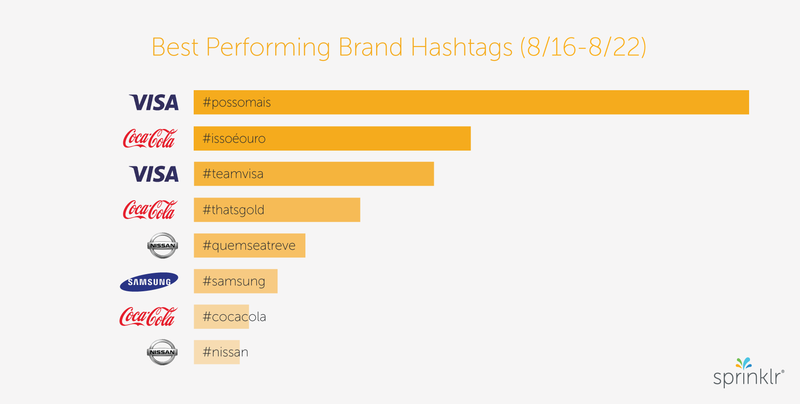 Visa's finishing performance during the last week was largely driven by two hashtags, #Passomais and #teamvisa, which made up two of Sprinkr's top three best-performing hashtags during the period.